One of the more unique areas in South Florida, North Bay Village was not above the waters prior to the 1940s. Originally sticking out of Biscayne Bay, this small landmass only sported a radio station, but as development moved forward, the island that was North Bay would emerge. Now an enviable location with many single-family homes, popular restaurants, and developing apartment buildings, the city has grown considerably from its humble beginnings. These and many more lines the streets of North Bay Village, but those same streets can be a very real danger for the residents of the area. That is why Wolfson Law Firm has been fighting for the citizens of Miami-Beach and South Florida for over fifty years. 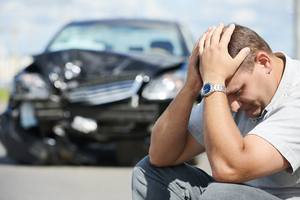 Our North Bay Village car accident attorneys are prepared to assist you with important information regarding your rights. If you’ve been in an accident in North Bay Village or anywhere else in Miami Dade don’t hesitate to call (305) 285-1115. North Bay Village car accident victims can expect advice regarding counselling, medical care, and what comes next in the steps to recovery and compensation. If you’ve been in a car accident in Florida, please do not hesitate to get in contact with the car accident attorneys that are currently serving the people of North Bay Village. They will aid you in getting what is owed to you, peace of mind, and compensation for the pain you’ve suffered, emotional or physical. Mr. Jonah Wolfson is a Miami-Dade accident Lawyer who serves clients impacted by wrongful death and slip and fall accidents. His bilingual legal team is more than up to the task in getting you the information you require. You can call them at (305) 285-1115 for a free consultation, at no cost to you or your family. The Miami-Dade injury and accident attorneys at Wolfson Law Firm present an active and caring group of representation for the fine people of North Bay Village. As well as those in Edgewater, Windwood, Miami Beach, Fort Lauderdale, Sunrise, Hollywood, Pompano Beach, Davie, Margate, Weston, Opa-Locka, Coconut Creek, Pembroke Pines, and Wilton Manors.